Latest data confirm solid growth of the European tourism sector in 2015 driven by continued demand from both intra-regional and long-haul markets. As competition heats up for the peak travel season, European destinations are called to foster the development and promotion of the distinctive tourism products in order to consolidate the region’s positioning in a challenging and uncertain socio-economic environment. European tourism maintains a firm footing this year according to the European Travel Commission’s latest report “European Tourism 2015 – Trends & Prospects”. A significant majority of European destinations registered positive growth in the pre-summer months proving the resilience of the sector and underlining its significance as a contributor to the region’s on-going-economic recovery. Best performers are Iceland (+30%), Montenegro (+19%) and Romania (+16%) experiencing a substantial growth in the number of international tourist arrivals. Following are Ireland (+14%), Croatia (+14%), Slovenia (+10%) Serbia and Cyprus (both +10%) also reporting double-digit increases. Among Europe’s most popular destinations, Germany (+5%), Spain (+4%), Italy (+4%) and the UK (+3%) saw healthy growth with optimism set towards the peak travel season. Travel-hungry citizens keep boosting travel flows in the pre-summer months, especially those from Germany, the Netherlands, France and Italy. Meanwhile, travel from the UK is spurred by favourable exchange rates increasing the attractiveness of Europe as a travel destination. Long-haul markets perform better and remain an important source of international tourist arrivals, particularly from North American and Asian markets. Macro-economic indicators in the US point to a solid recovery with GDP growth expected to reach +3% in 2015 according to the World Economic Outlook report in addition to favourable financial conditions, an increase in power spending and business and consumer confidence beside low oil prices. A weaker Euro keeps supporting an upturn in demand for European destinations pointing at solid growth over the summer months. On the downside, the Russian economy continues to face difficulties to level off and it is still expected to see a deep backdrop in 2015. A decrease in oil prices and the consequent plunge in the Rubble against the Euro are expected to hit European tourism destinations in 2015 while international sections have already affected on the tourist industry. Foreign travel has become costly for Russian tourists with traditional hot-spot destinations being the most affected. Besides, the influx of tourists across borders declines so is the spending among those that actually travel as their expenditure continues to plummet in 2014.
International tourism worldwide is experiencing growth primarily driven by the performance of advanced economies and long-haul markets. The travel and tourism sector still remains Europe’s main driver of growth under the cloud of socio-economic disruptions. However, to ensure Europe’s leading position as the #1 tourist destination worldwide amid a challenging and uncertain socio-economic environment, European tourism organisations are called to foster sustainable product development and promotion encouraging the diversity of products and experiences offered by the destination at a pan-European level. 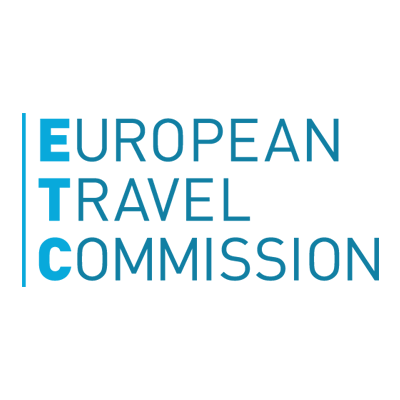 “In order to remain the world’s first tourist destination, Europe must respond to these shifting patterns in global tourism capitalizing on the potential of tomorrow’s outbound travel markets whose expanding middle classes are a growing market for European destinations”, said Eduardo Santander, Executive Director European Travel Commission.